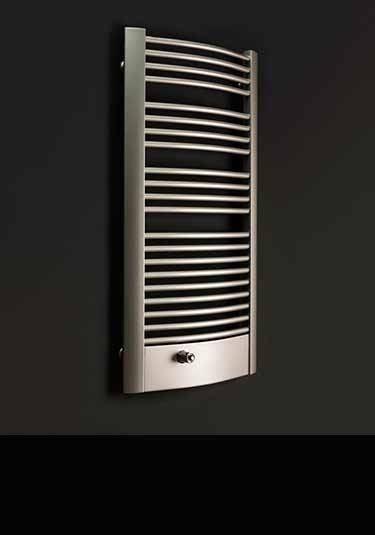 A contemporary collection of heated towel warmers selected for their latest design and luxury quality. Within this exclusive range, our designer bathroom radiators can be supplied in chrome, nickel and gold finishes, all plated onto solid brass, high quality polished stainless steel and a stylish collection of glass towel radiators available in different glass colours. We try to select all our designer radiators from the UK and Italy to ensure the latest and best designs and European quality. Most designer towel rails are available for central heating systems, dual fuel heating systems and electric only systems. Available in polished or brushed brass finish. 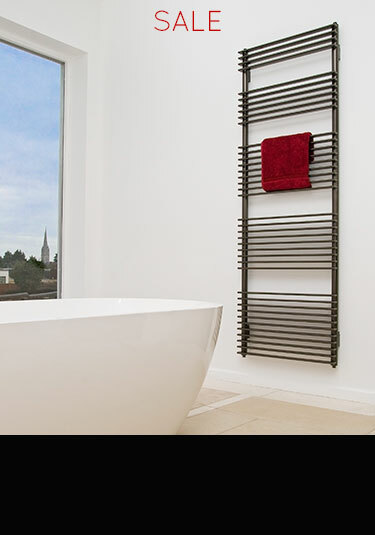 This wall mounted cubic heated towel rail is a modern rectangular design. An impressive heated towel rail with large horizontal bars. Finished in our exclusive blue chrome plating with brushed or polished options available. 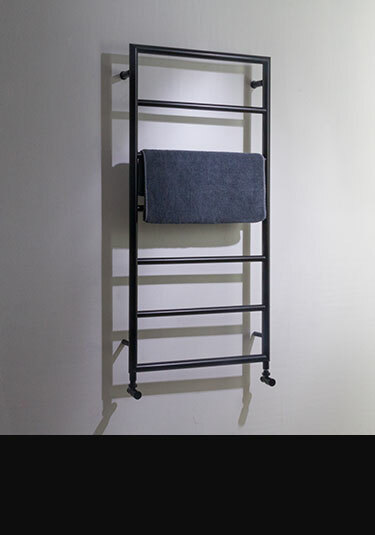 Finished in matt black, this floor to ceiling height towel rail is made to order to your specific room dimensions. 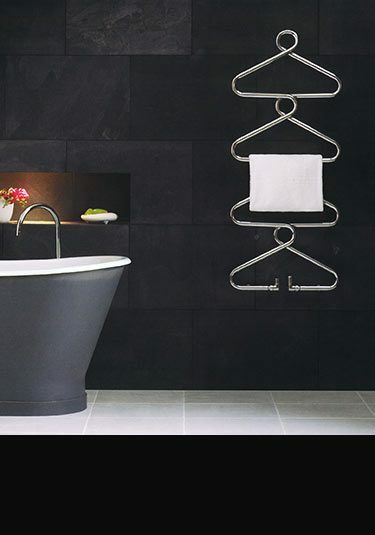 This stunning black radiator makes for an eye-catching focal point for modern bathrooms. This luxury black towel warmer is an exclusive design. 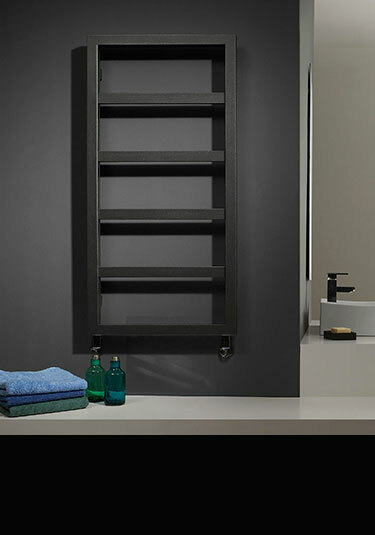 Ideal for modern bathrooms, this matt black radiator is the ideal finishing touch for a monochrome bathroom design. Handmade in the UK to ensure quality and longevity. Bespoke painted wall hung towel warmer in a range and RAL colour finishes. Exclusive luxury design made in United Kingdom. Suitable for central heating, electric or dual fuel systems. 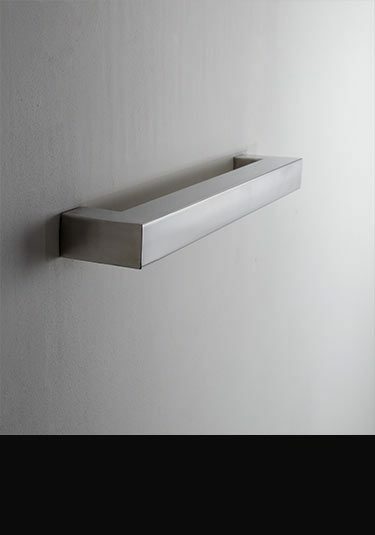 A lovely contemporary towel rail that is made in high quality polished stainless steel. This Italian designer towel radiator is a stylish and exclusive addition to any high quality bathroom. 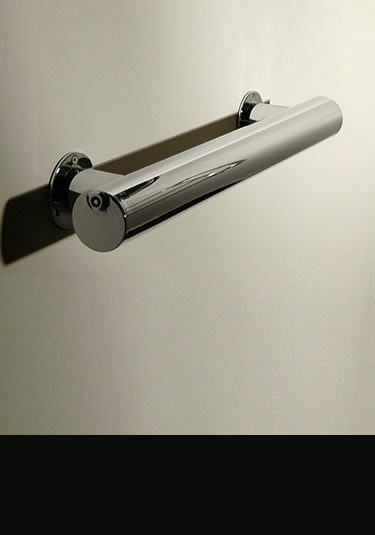 Designed for central heating systems and finished in chrome. This lovely quality chrome on solid brass multi-rail towel radiator in the latest contemporary styling makes an ideal selection for smart luxury led bathroom design. This towel warmer is available in three sizes for electric, dual fuel and central heating systems. 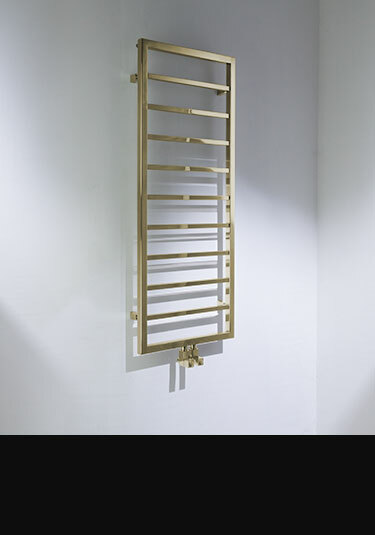 Exclusive to Livinghouse this contemporary towel radiator is finished in chrome onto a corrosion free brass body. 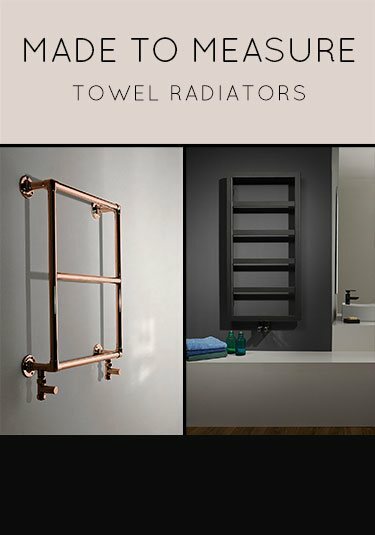 Supplied for central heating, dual fuel and electric only systems, with the electric elements using a unique hidden element system this towel radiator has large 50mm outer tubing with 25mm towel hanging bars. 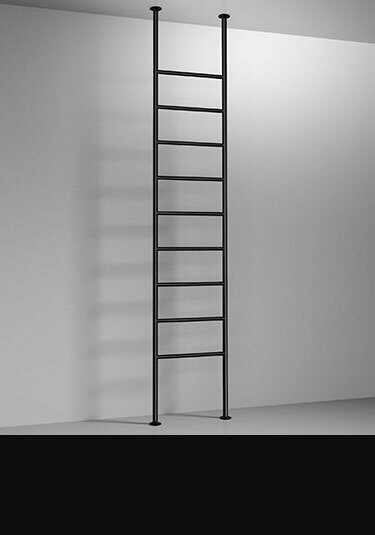 Exclusive towel hanging radiator to Livinghouse, this leaning towel rail is based on a tapered building ladder designer. Made in brass with a chrome finish this bathroom radiator is suitable for electric, central heating and dual fuel heating systems. British designed. 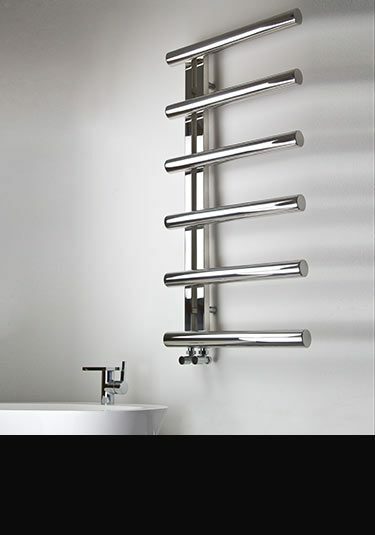 This stylish towel hanging radiator has wide evenly spaced heated bars allowing easy hanging of towels. Made of superior brass which a polished chrome finish this towel rail has simple classical styling which is ideal for both contemporary and traditional bathroom design. 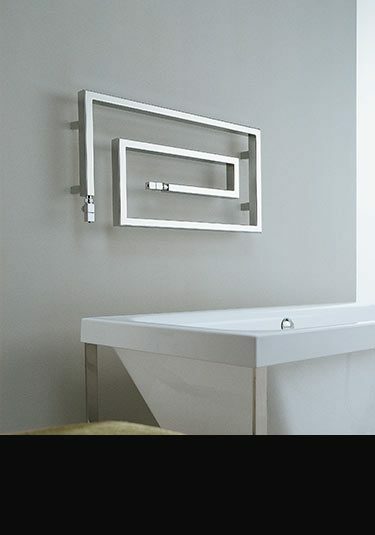 A contemporary towel warmer made in Europe in boxed tubing is an ideal addition to minimalist bathroom design. Finished in anthracite grey. 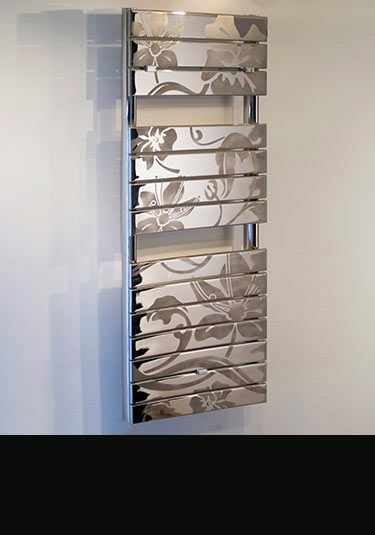 Lovely and uniquely styled, this towel hanging radiator gives exclusive and luxury design to any bathroom design. Designed and manufactured in Italy and suitable for central heating systems..
A simple modern multi-rail towel rail in brushed brass. 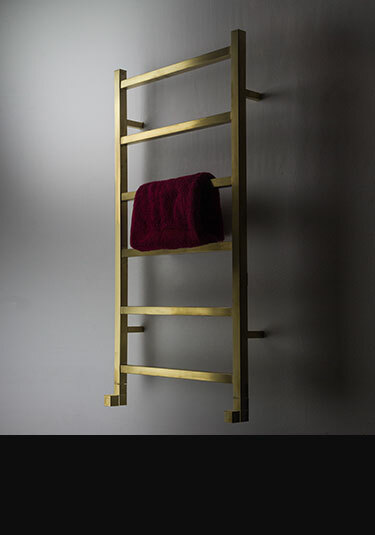 Quality manufactured in Britain, this brass towel rail is available in various sizes to suit all bathrooms. A floor mounted towel warmer that is freestanding, is British design and manufactured. 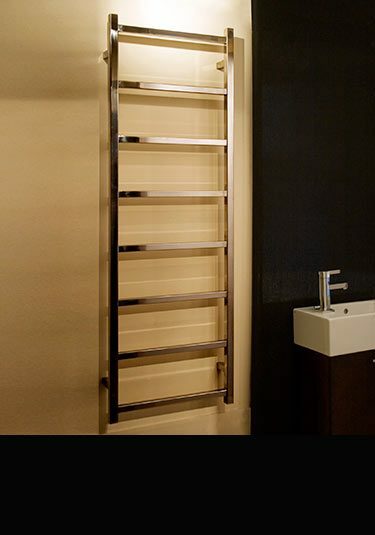 Made on luxury brass with a choice of chrome, nickel or gold finishes this exclusive towel radiator is available for central heating and electrical systems. 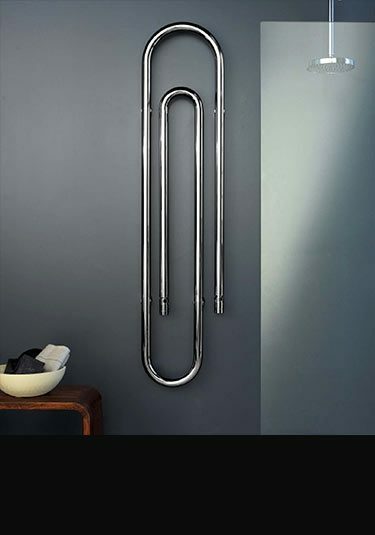 A designer heated towel rail in an exclusive and unique paperclip design. Available in chrome or satin black finishes and designed for central heating systems this luxury bathroom warmer is definitely a design feature. 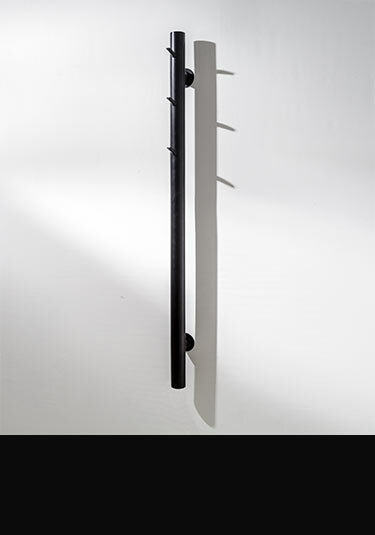 Italian designer towel rail designed for central heating systems in exclusive and luxury bathrooms. 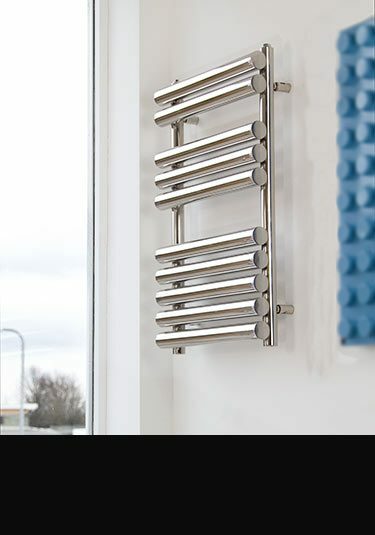 Finished in chrome this contemporary towel hanging radiator is a beautiful design feature in any design led bathroom. 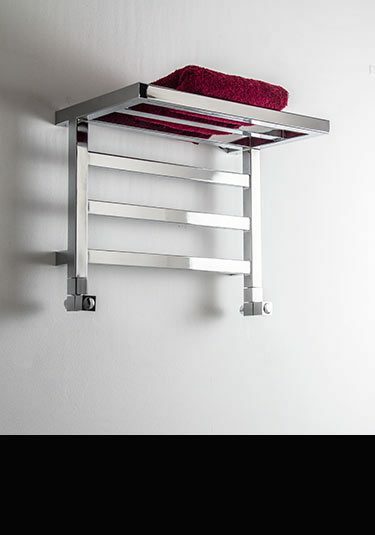 This wall mounted heated towel rail with a top rack is ideal for storing folded towels as well as towel hanging. Available in a chrome plated finish. 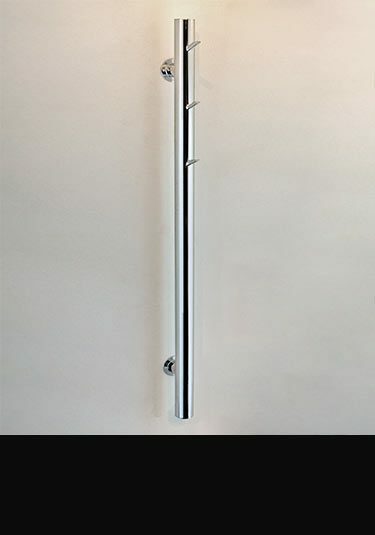 An exclusive bathroom towel radiator with a unique polished and satin chrome design. 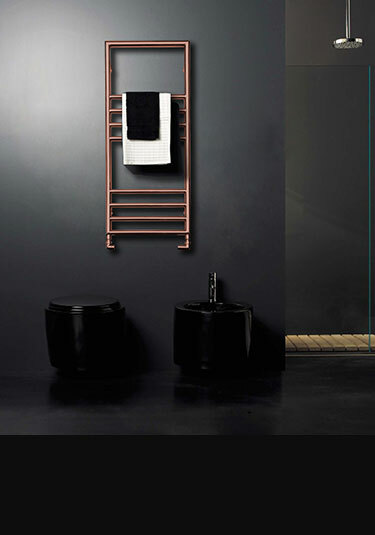 A luxury towel rail for design led bathrooms, this radiator can be supplied for central heating and electrical systems. British designed and manufactured. 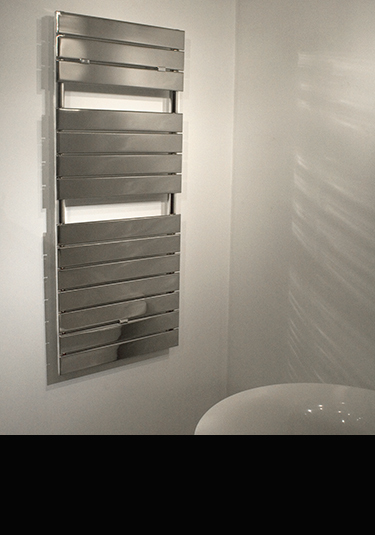 A designer towel radiator designed and manufactured in Britain. Made in luxury brass with a choice of chrome, gold and nickel plated finishes this exclusive towel rail can be for central heating and electrical systems. 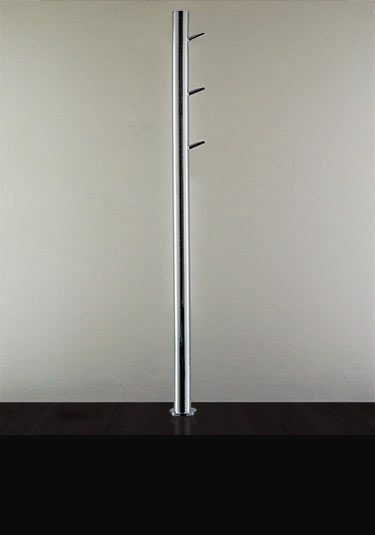 This electric heated towel rail has an integral thermostatic heat controller giving a smart and contemporary finish and is supplied in 5 coloured finishes including white, silver, black, silver and bronze and silver metallic. High quality European manufactured. 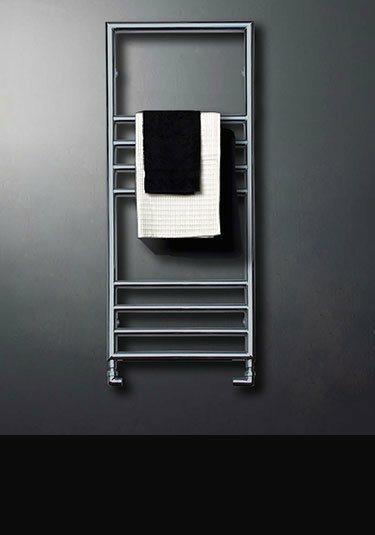 British designed and manufactured, this exclusive wall hung towel rail is suitable for central heating and electric systems. Luxury constructed in solid brass with a thick chrome finish, this unique towel warmer makes a lovely design feature in design led bathrooms. Available in many sizes and in chrome, gold and nickel finishes. 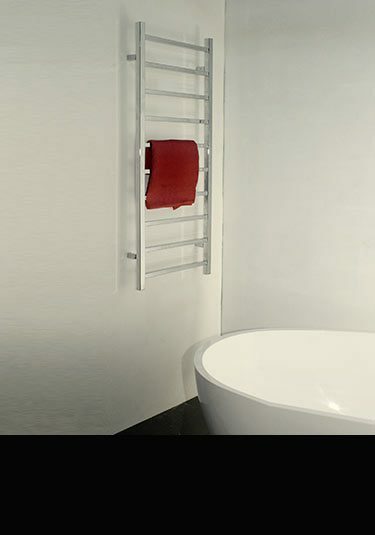 This boxy styled towel warming radiator is a highly contemporary design choice for minimalist bathrooms. With its picture frame styling this classically contemporary towel warmer is a lovely design feature to high quality bathrooms. 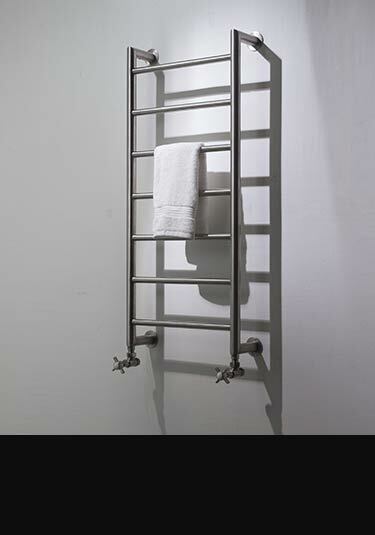 A lovely quality stainless steel towel rail that is exclusively designed in the UK. 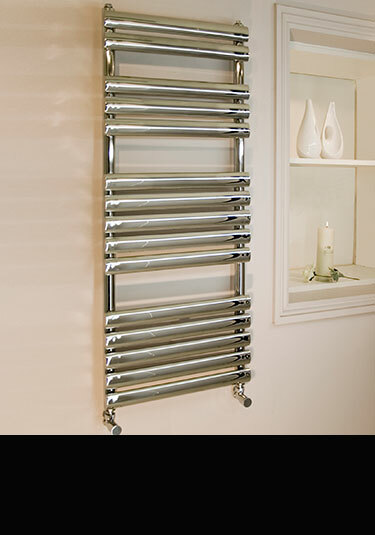 Each highly polished bathroom radiator has nicely spaced bars which allows for easy hanging of towels Available in 7 radiator dimensions and supplied for all types of heating systems. 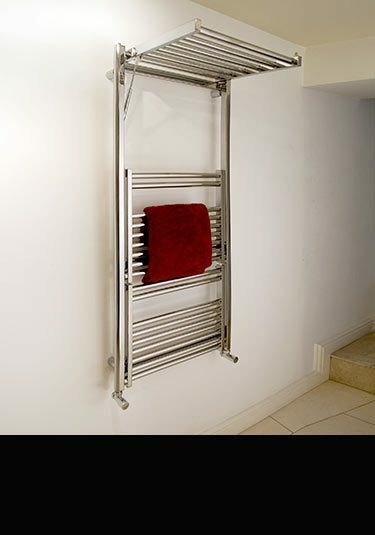 A European made chrome towel rail with nicely spaced towel hanging bars. This towel warmer is suitable for central heating, dual fuel and electric only systems and is available in 3 sizes. 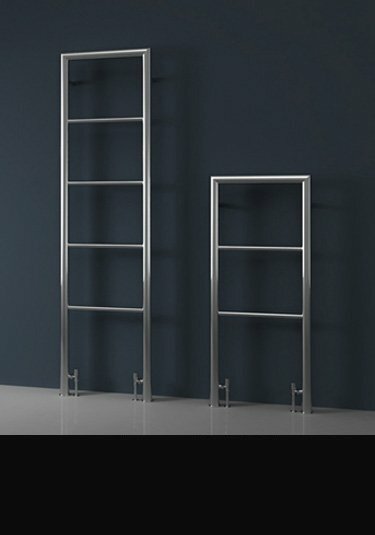 This impressive designed towel rail has hinged shelves that open out producing lots of towel hanging space. 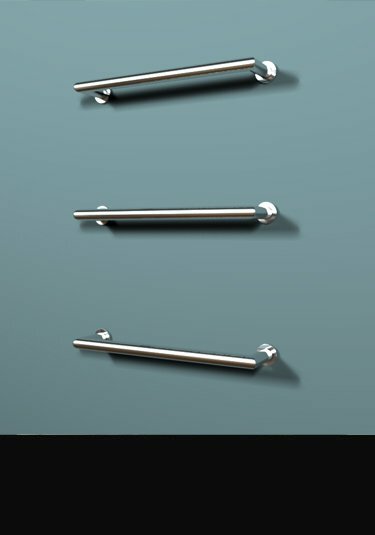 This towel rack is space saving and proves to be a popular choice in flats and smaller bathrooms where hanging space may be a problem. 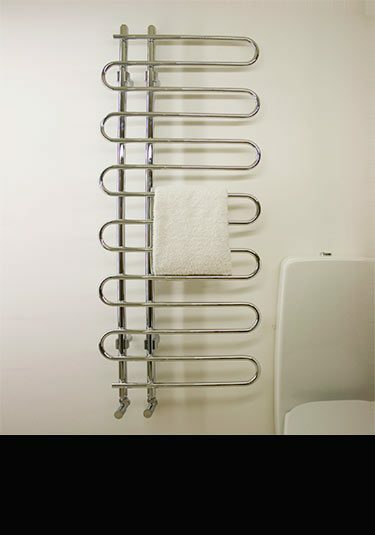 A chrome finished towel rail with attractive meandering heating tubes. 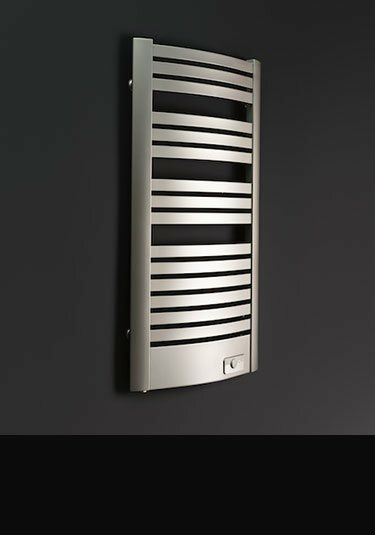 Manufactured in Europe and designed for central heating systems this designer towel warmer offers easy hanging of towels with well spaced heated bars. Available in 2 dimensions. 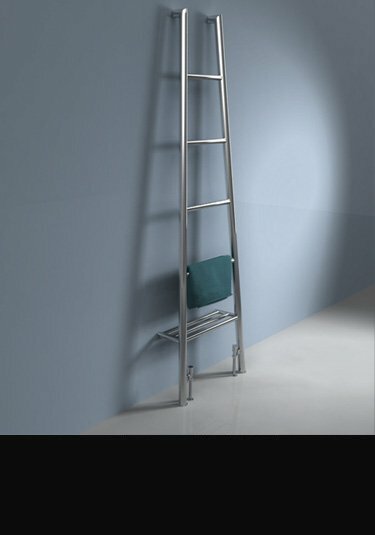 This coloured towel hanging radiator is available in 4 dimensions and the colours of white, silver and anthracite. Designed and manufactured in Italy for central heating systems. 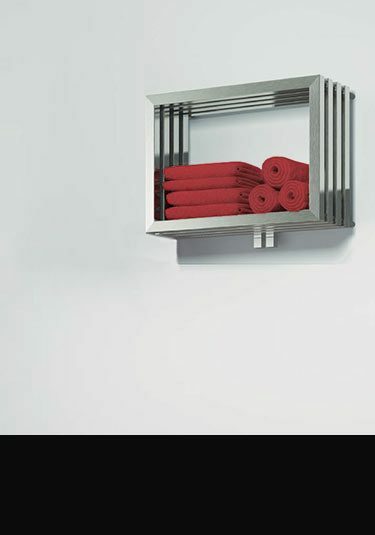 A high quality towel warmer that is manufactured in Europe in high quality stainless steel with a high polished finish. This stainless towel rail is available in 2 dimensions with both giving high heat outputs. 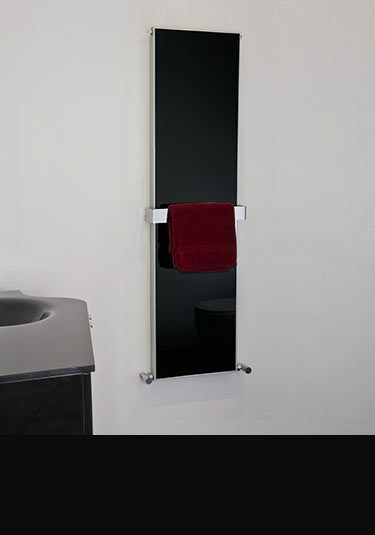 A coloured heated towel rail has a unique built into the body thermostatic control giving latest in modern and contemporary styling. 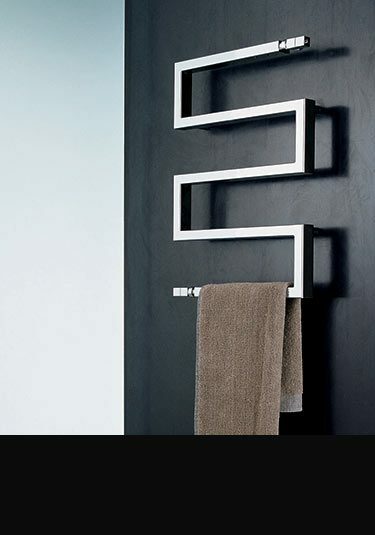 This stylish towel radiator is available in the colours of white, black, silver, bronze and anthracite. 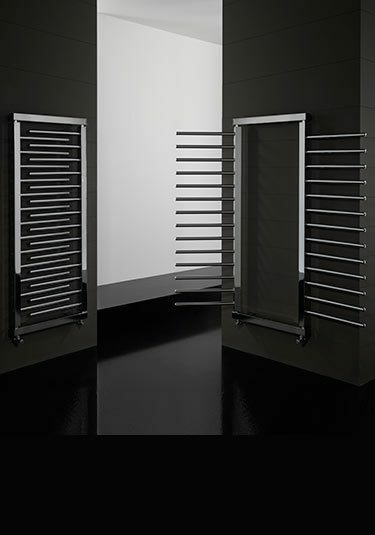 European manufactured towel warmer with lots of hanging bars for toasty towels. Available in 3 colours of red, white & black all with contemporary aluminium cover trim. A stainless steel towel rail that produces large heat outputs. This high output radiator is available in 2 sizes and in many cases is sufficient as the only heat source required in a bathroom. Nice and toasty towels as well. A high quality British towel rail that has very large heat outputs, in many cases this raditor can be the only heat source required in a bathroom. 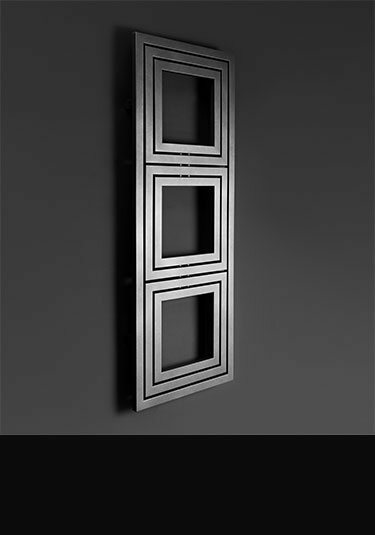 Available in black quartz, metallic bronze and white colour finishes plus 8 radiator dimensions. 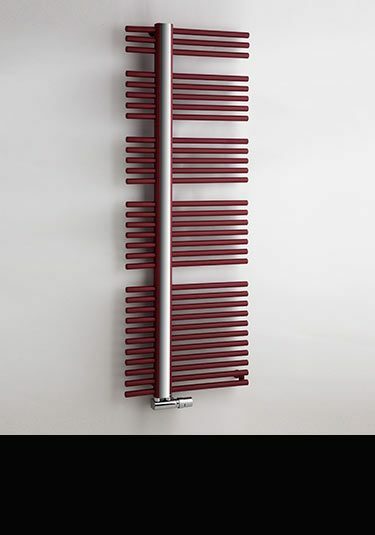 A lovely designer towel radiator that is designed and manufactured in Italy. 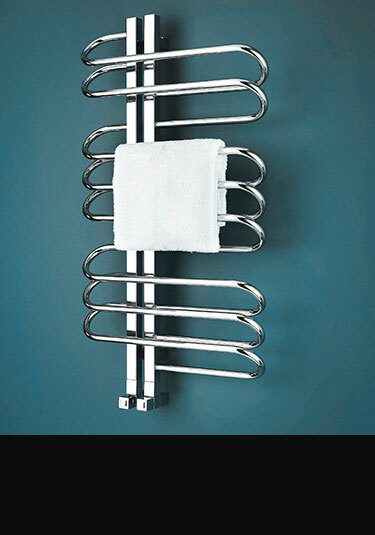 Finished in chrome this towel warmer is only suitable for central heating systems. A luxury design feature for high quality and exclusive bathrooms. 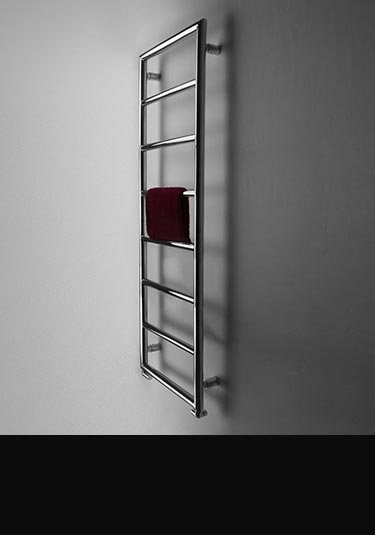 A nice and simple towel radiator that is Italian designed with a chrome finish. 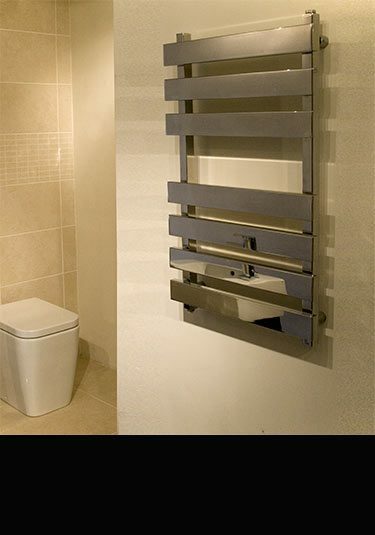 This heated towel rail can be used for central heating systems, dual fuel or electric only systems. 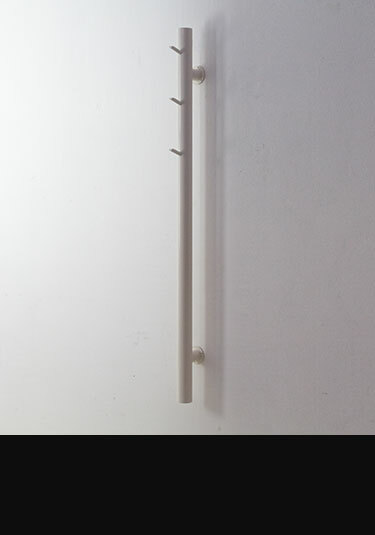 A European designer towel hanging rail that is made in the EEC. 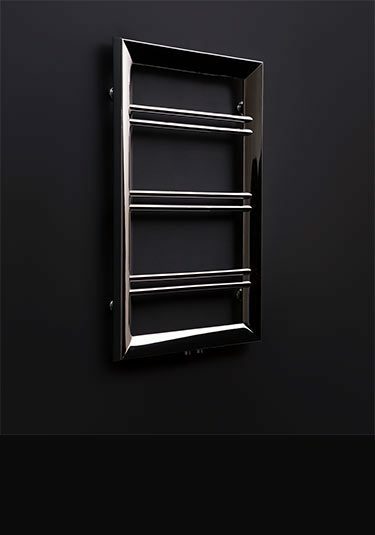 Supplied in 2 bathroom radiator dimensions with a choice of chrome or satin black finish, this towel warmer is a designer touch to any luxury bathroom. 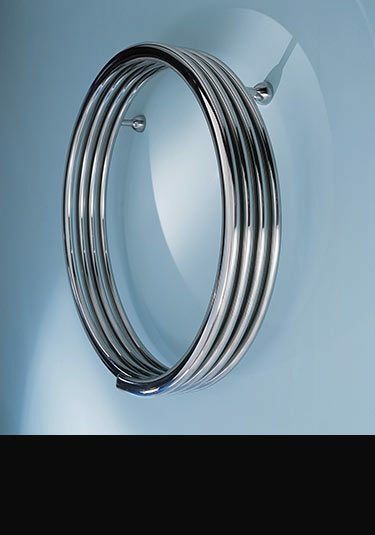 A stainless steel heated towel rail with attractive oval tubes is designed for central heating systems with the option for dual fuel and electric only. This slimline towel radiator is supplied in the colours of white, beige, plum & black. These contemporary heated towel rails are made in aluminium using an award winning graphite filled honey cone which allows high heat outputs, are quick to react & have good heat coverage. 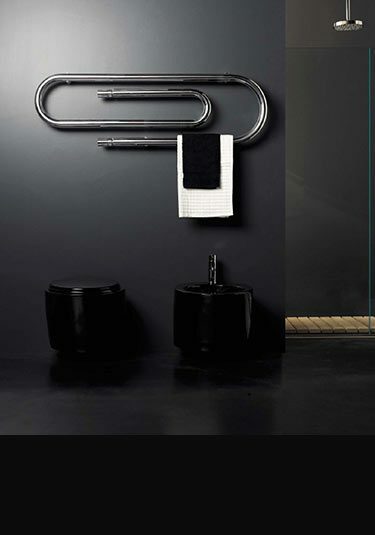 Each radiator is supplied with a stylish towel hanging bar, with 2 on the bigger versions. 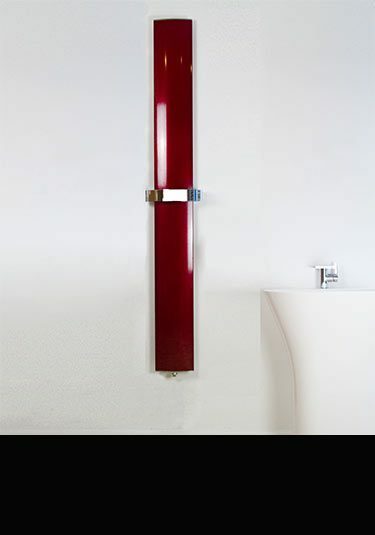 This tall aluminium radiator is available in red and white finishes. 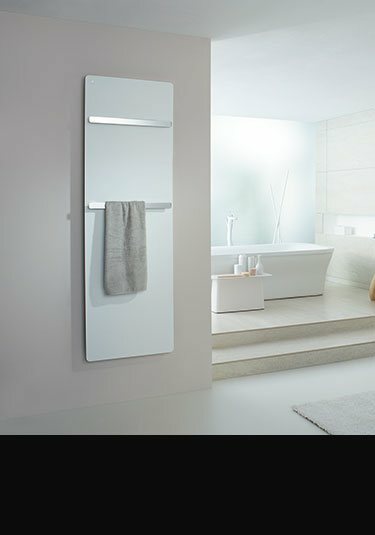 Each bathroom heating radiator has a handy towel hanging bar and is designed for central heating systems. 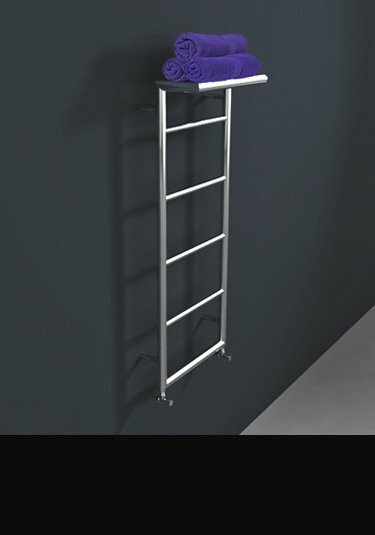 A unique folding towel hanging radiator that is practical and serviceable when in use and tidy and impressive when folded away. 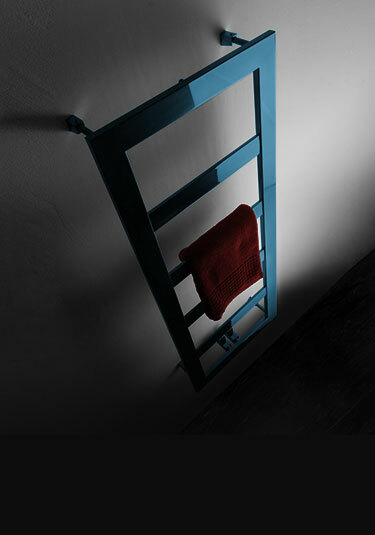 This towel hanging radiator is designed and manufactured in Italy and gives a good heat output. British designed and manufactured, this contemporary towel radiator is available in the finishes of chrome, nickel and gold, all onto a superior brass tubing. 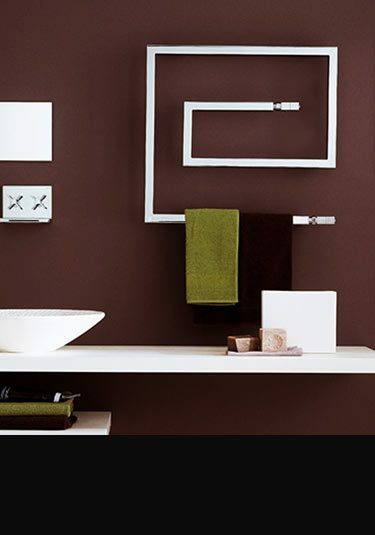 Each bathroom towel rail can be supplied for central heating, dual fuel and electric only systems. 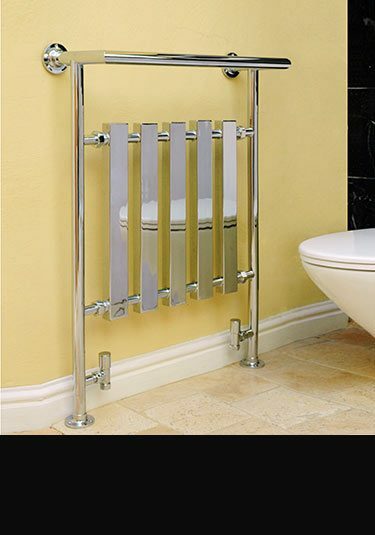 A luxury quality central heating towel rail available in a chrome plated finish. 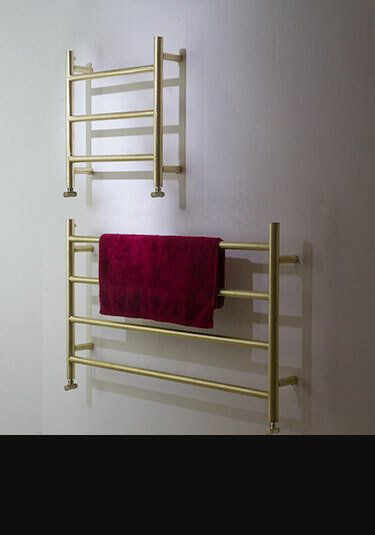 This chrome on brass towel rail is available in 9 different sizes to suit all bathrooms. A stainless steel wall box that that is installed onto the central heating system. 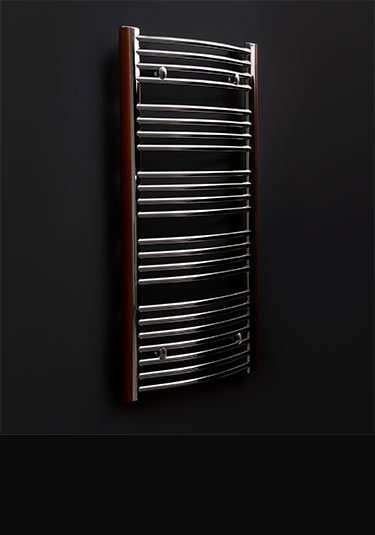 A high quality luxury towel radiator with a glass front and highly polished surround. Each towel warmer is supplied with a handy stainless steel towel hanging rail and with a choice of black or white glass finish. Available in 5 radiator dimensions and designed for central heating systems. 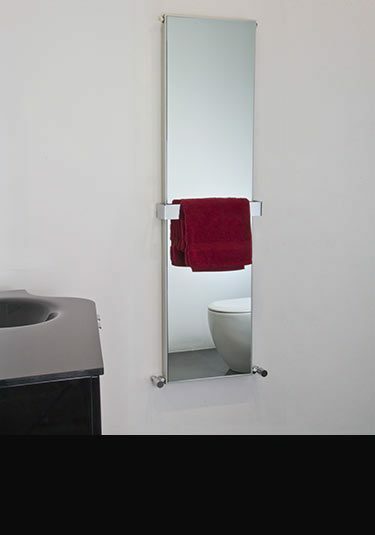 A comtemporary mirror radiator with a stainless steel towel hanging rail. 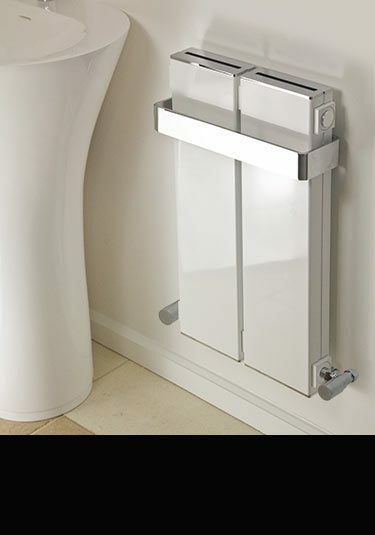 This bathroom radiator is ideal for bathrooms because of its condensation free heated mirror and with its high heat outputs can be the only heat source required on many bathrooms. Available in 5 dimensions and manufactured in Britain.